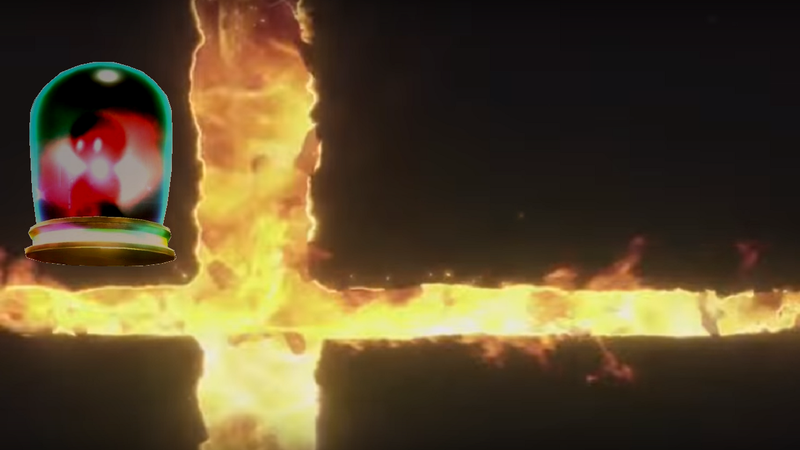 Super Smash Bros. fans had been waiting for a while for news about the upcoming Switch version, and during today’s E3 2018 Nintendo Direct, we got our fill of it, and then some. Within all that excitement, however, was one item of most unwelcome nature: Someone unjustly fated to suffer in the ironic hell of the Smash universe. I refer, of course, to the Assist Trophy. Through its existence, many characters have suffered the indignity of not only being not added as playable fighters in Smash, but then get dealt the insult of being added to the game as an NPC who serves at the beck and call of others who made the cut in the game’s roster. They only get to fight for causes other than their own, and for only mere seconds at a time at that. And now they can apparently even be knocked out before fully serving their full purpose?? It is a perversion of one’s most sacred wish, “Please let them be in the next Smash! !”, rife with the added sting of humiliation. And today, we found ourselves face to face with someone who deserved much, much better than such an injustice. I’m sure you know exactly who I’m talking about. Though he does not have a pull on everyone’s consciousness to the extent that a Mario or Peach does, he has nonetheless been a character with a long and storied history with Nintendo. He has been an essential staple of the games in which he’s shown up. He has put in the time, and paid his dues. It may take some extra effort and creativity on Sakurai’s and the other developers’ parts to make him work, but I am positive that he could become an interesting fighter who fills a compelling (or at least wildly entertaining) niche in the Super Smash Bros. roster at large. If there is any single character who has earned such a level of dedication, it is undoubtedly him. Yet this is how you treat him?! Keeping him at arms’ length from a real spot in the roster?? While you elevate DAISY OF ALL PEOPLE from an alternate color scheme for Peach to a full-on combatant?!! This is wrong. Dead wrong. Let it be known: You done goofed, Nintendo. Bomberman deserved better than this.